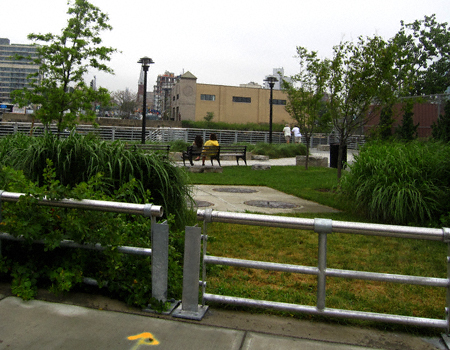 and went to the new park at the end of Manhattan Avenue. It was at this location that I found the following corker. OK, I understand the city has to put these signs up. But who in their right mind would want to eat something that once called this home? I’m really glad the City has posted the sign. There have been alot of folks fishing and crabbing in the Newtown Creek over the years, including me. ( I don’t eat them ) There are folks that do take their catch home to eat. 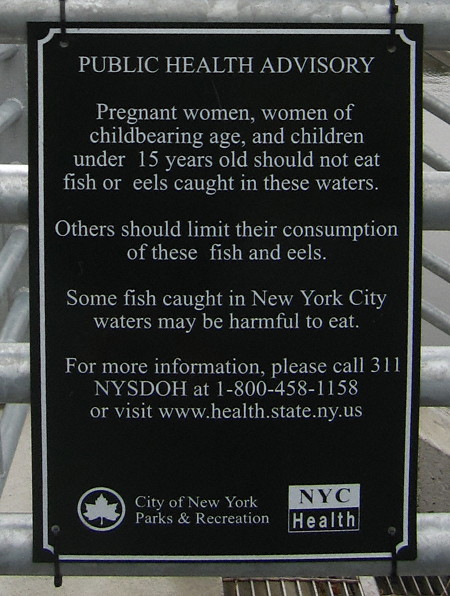 Alot of folks, have felt over the years, that “if the fish were unsafe to eat, there would be a sign”. oooh!! 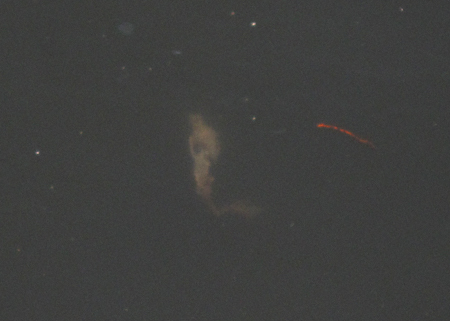 A Newton Creek Jellyfish!! Because some people do not have enough money for groceries and resort to catching their food. Daily News ran an article about this: local fishermen who were supplementing their dinner table by fishing off of the Canarsie Piers. People interviewed had the same reaction: if it were unsafe, a sign would be posted. One was a woman who was guardian of her 6-year-old granddaughter. Signs were posted shortly after. Granted, however, Canarsie Piers may not be in the same class as Newtown Creek.